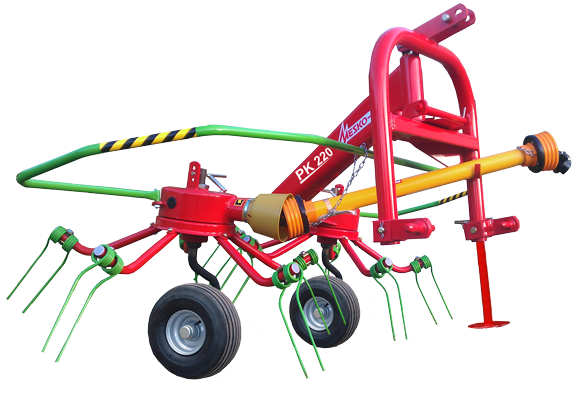 Carousel rake-tedder Z 275 is assigned for raking and tedding the damp or dried hay and low-stem green forage. 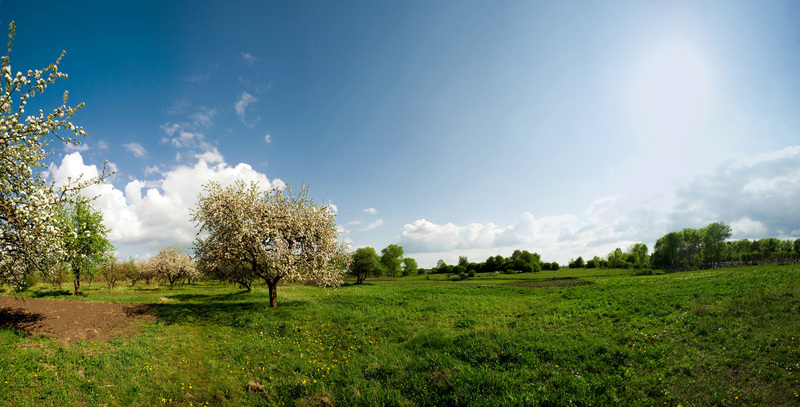 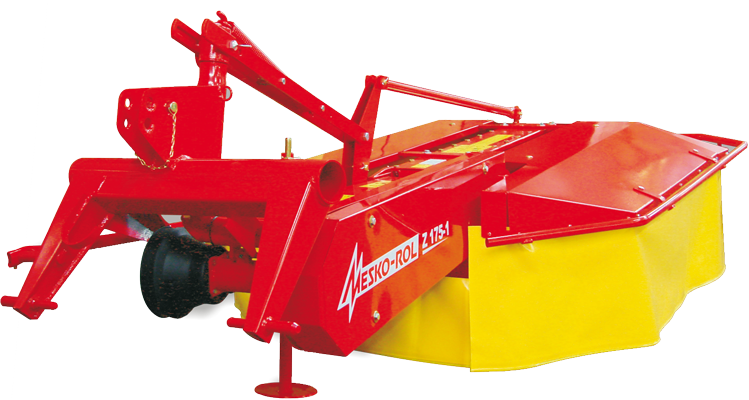 It is designed to work in agricultural fields and meadows of the leveled surface and a slope of 12 degrees. 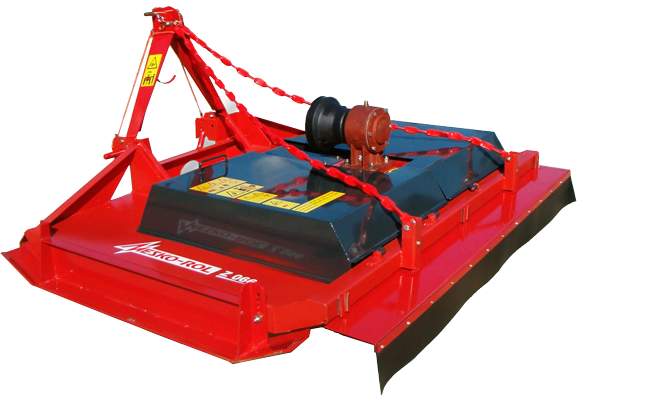 Machine fulfills very well both functions and can work with a light tractor with a power of 15 kW / 20 hp. 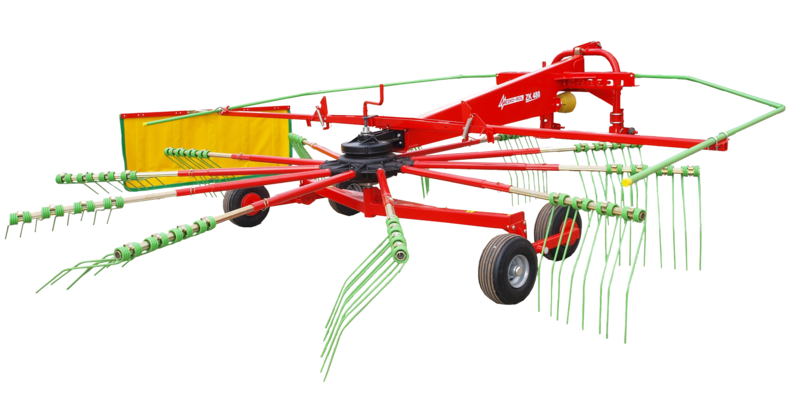 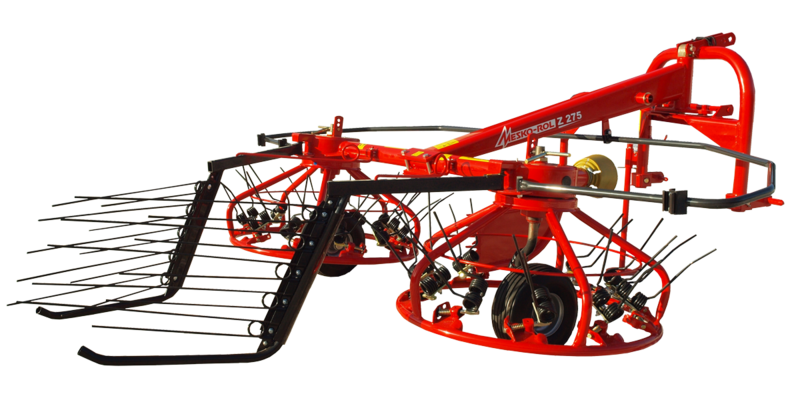 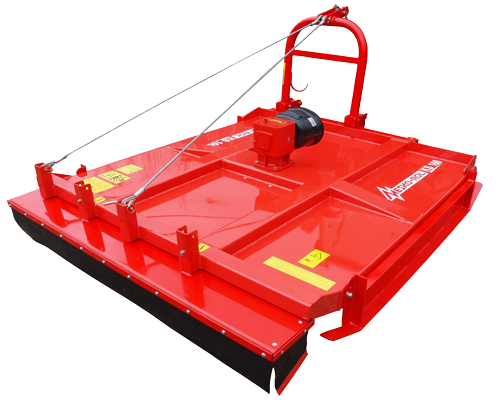 Rake-tedder stands out with accuracy of the copy area, is adjustable for height of rotor and width of banks. 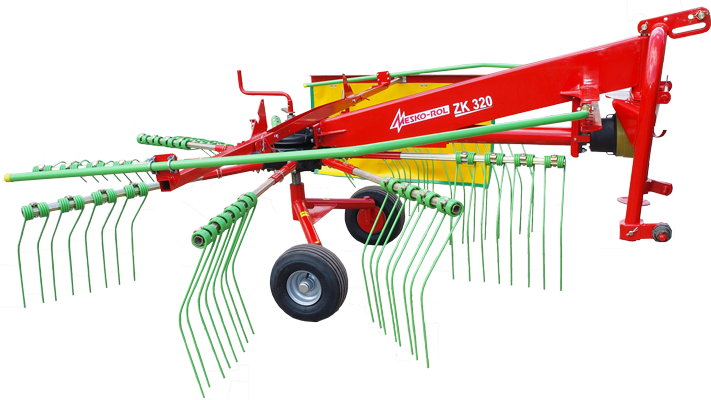 An additional advantage is the possibility of raking double banks in three runs with a width of 6 meters. 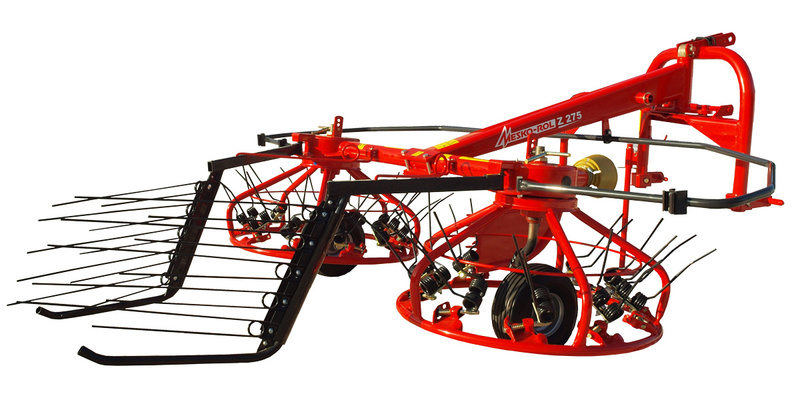 A large number of raking teeth effects in a very thorough raking and tedding the swath.